A San Juan man was charged Thursday with the murder of a woman whose body was found on a roadway in McAllen. Lamar Lawson, 25, appeared before a municipal judge who set his bond at $700,000 on the murder charge, a first-degree felony punishable by up to life in prison. Sonya Mynette De La Cruz’s body was found Tuesday at about 5:23 a.m. in the area of 600 W. Beech Ave. in McAllen. The 51-year-old died due to blunt force trauma to the head caused by sustaining punches to her face and a driver running over her with a vehicle, according to a probable cause statement. McAllen Police Department detectives were able to review surveillance footage from area homes that pointed them to a nearby hotel where De La Cruz was picked up by a driver in a Chevrolet Equinox. “The vehicle can be seen with additional vehicle accessories that made it easier for police to identify,” according to the statement. Detectives questioned witnesses in the area and later received word that Lawson was the driver of the vehicle. Lawson confessed to “having caused the victim’s injury that led to her death,” according to the statement. It remains unclear whether the suspect knew the victim. Lawson has previously been arrested on charges of assault causing bodily injury, evading arrest and robbery, according to Hidalgo County records. The assault charge was dismissed per an agreement on the evading charge in which he was sentenced to three years in jail. 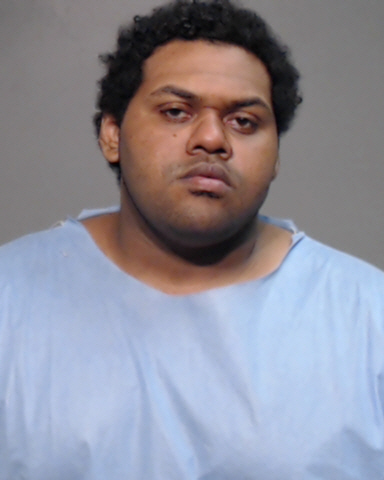 Lawson remains behind bars on the murder charge at the Hidalgo County Jail.